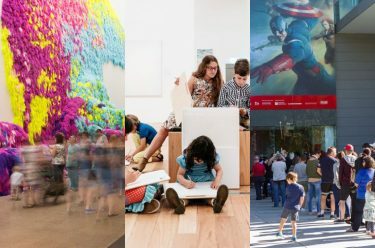 2017 has been a huge year for both the Queensland Art Gallery (QAG) and Gallery of Modern Art (GOMA). This can be attributed to GOMA’s tenth anniversary program beginning the year, our Family Festival during ‘Sugar Spin: you, me, art and everything’, and ‘Marvel: Creating the Cinematic Universe’. 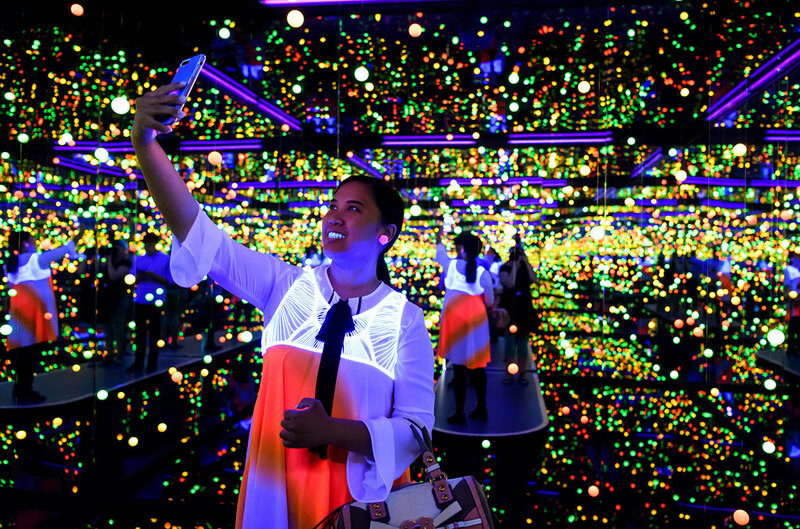 We can also look forward to strong attendances all through summer with our major exhibitions ‘Yayoi Kusama: Life is the Heart of a Rainbow’ (GOMA), ‘Gerhard Richter: The Life of Images’ (GOMA), the return of Kusama’s much-loved, interactive installation The obliteration room (GOMA), plus the launch of our reimagined Australian art collection at QAG. 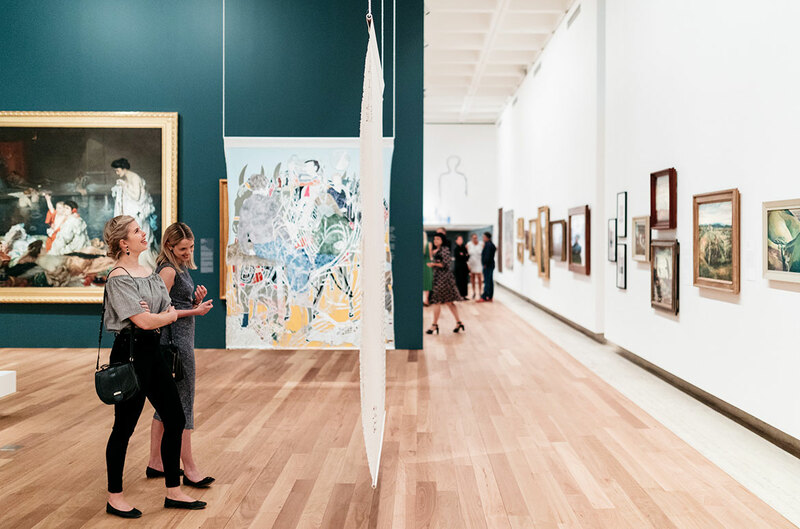 Also currently on view at QAG is ‘Picasso: The Vollard Suite’ which profiles the rare complete set of a hundred etchings and engravings created by Picasso in the 1930s and named after art dealer and publisher Ambroise Vollard. 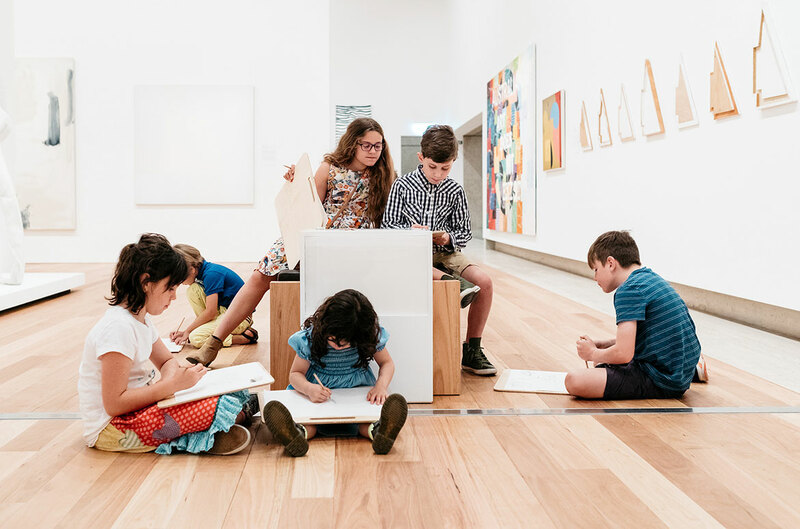 Recently opened at GOMA’s Children’s Art Centre, ‘Me, Myselfie and I’, focuses on multiple representations of self, as well as hands-on and multimedia artist projects. QAGOMA’s 2018 program has been recently announced and is equally exciting, including major solo exhibitions of new and recent work by leading contemporary Australian artists Patricia Piccinini and Tony Albert, and returning in November is ‘The 9th Asia Pacific Triennial of Contemporary Art’ (APT9). Japanese artist Yayoi Kusama is an international phenomenon, her beguiling creations and unique perspective have made her a pre-eminent figure in 21st century contemporary art. 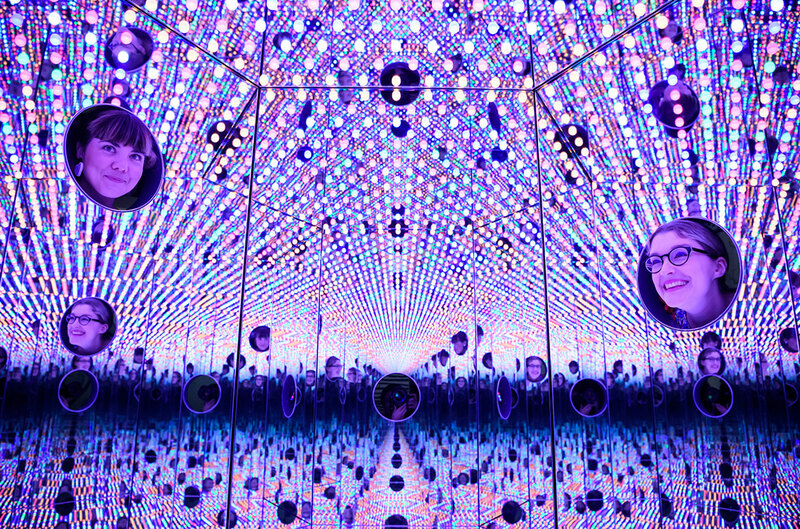 A focused survey of Kusama’s vast body of work since the 1950s, ‘Life is the Heart of a Rainbow’ at GOMA explores her key motifs, her engagement with the body, and her conception of space. 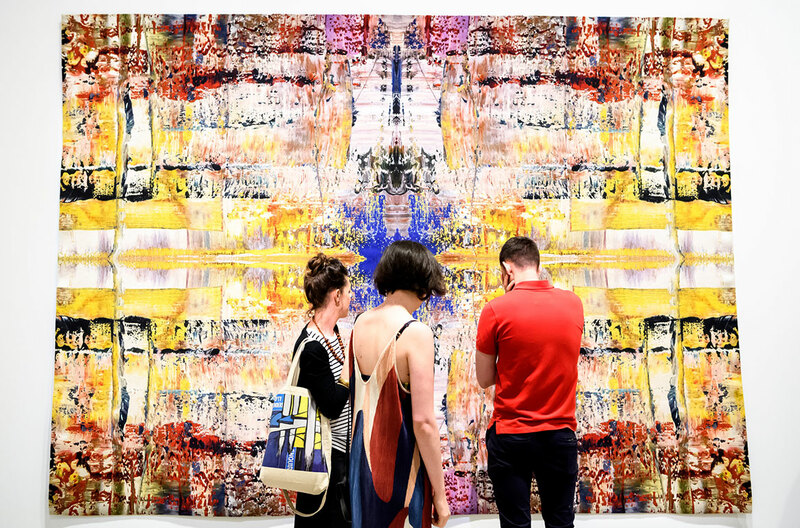 For more than fifty years, German artist Gerhard Richter has proven his remarkable command of almost every style and genre of painting. Exclusive to Brisbane, ‘The Life of Images’ gives a detailed insight into the work of one of the world’s most influential living artists. 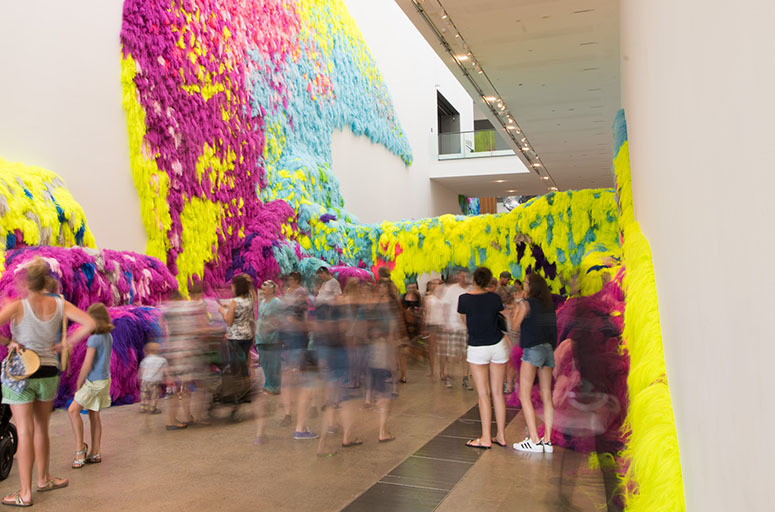 The exhibition is currently on show at GOMA. 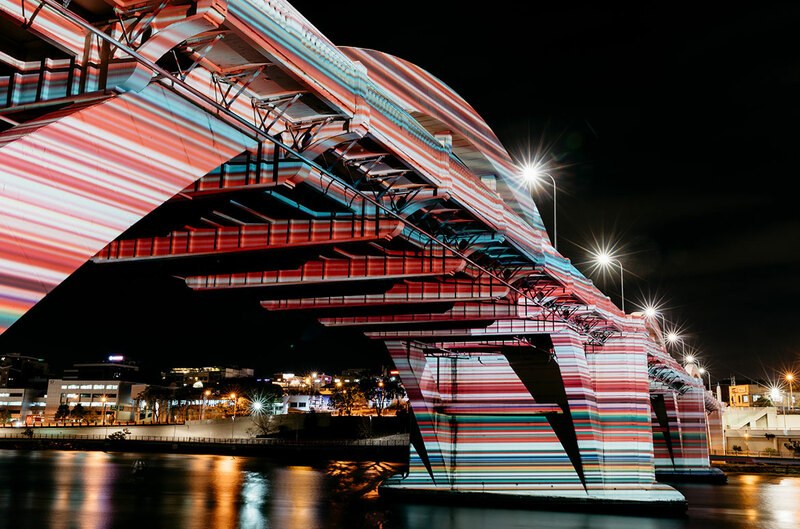 Gerhard Richter’s artwork Strip (927-9) 2012 lit up Brisbane City on the William Jolly Bridge thanks to Brisbane City Council to celebrate the opening of ‘The Life of Images’. 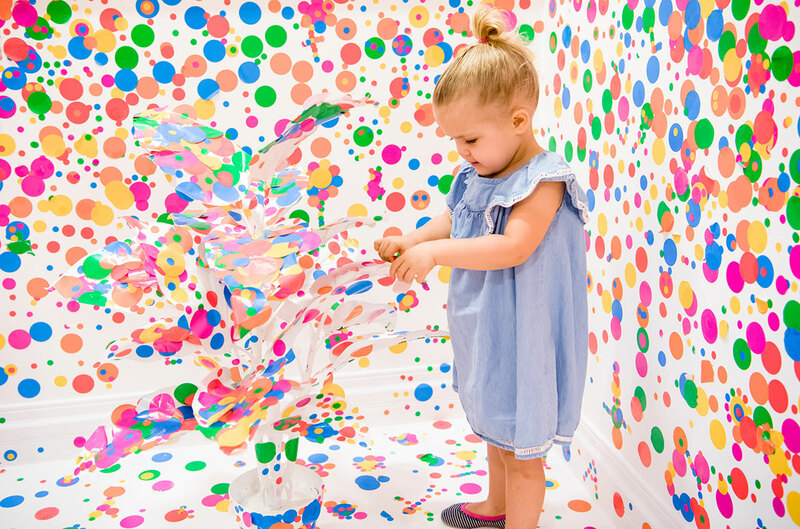 Visit the Children’s Art Centre at GOMA and enter Yayoi Kusama’s The obliteration room and help us ‘obliterate’ our domestic space by adding colourful dot stickers to white furniture, objects and surfaces in our interactive installation. 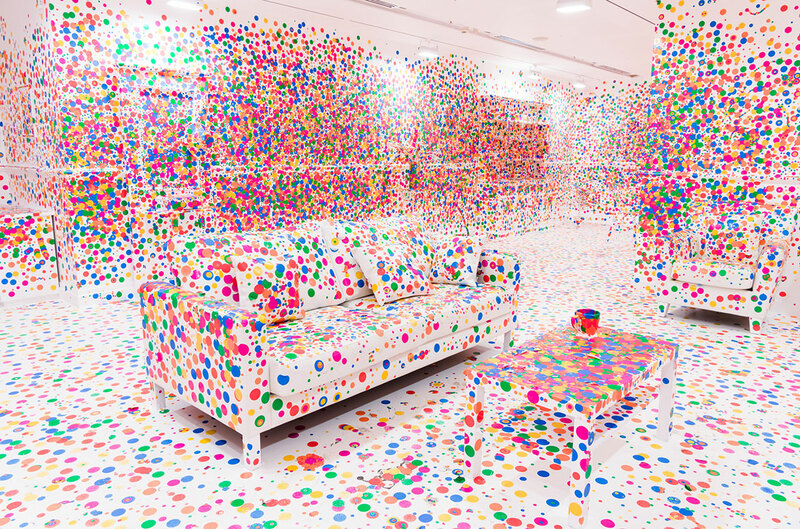 Yayoi Kusama, Japan b.1929 / The obliteration room (installation view) 2002 to present / Furniture, white paint, dot stickers / Collaboration between Yayoi Kusama and Queensland Art Gallery, commissioned by the Queensland Art Gallery / Gift of the artist through the Queensland Art Gallery Foundation 2012 / Collection: Queensland Art Gallery / © Yayoi Kusama / Courtesy: Yayoi Kusama Studio, Inc.
An exciting reimagining of your Australian art collection opened in Spring. 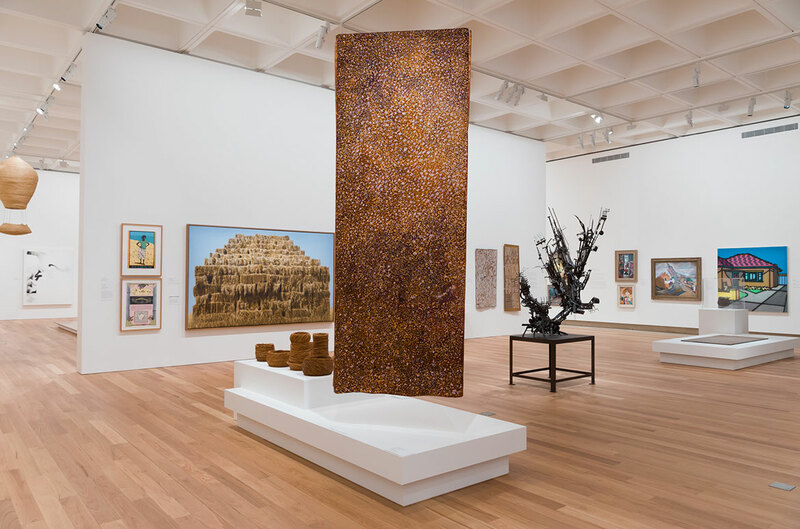 The reconfigured spaces at QAG capture major historical moments bringing the Indigenous and contemporary Australian collections together with the Gallery’s historical holdings. The new display emphasises stories about Queensland and Brisbane from our region’s own perspective. 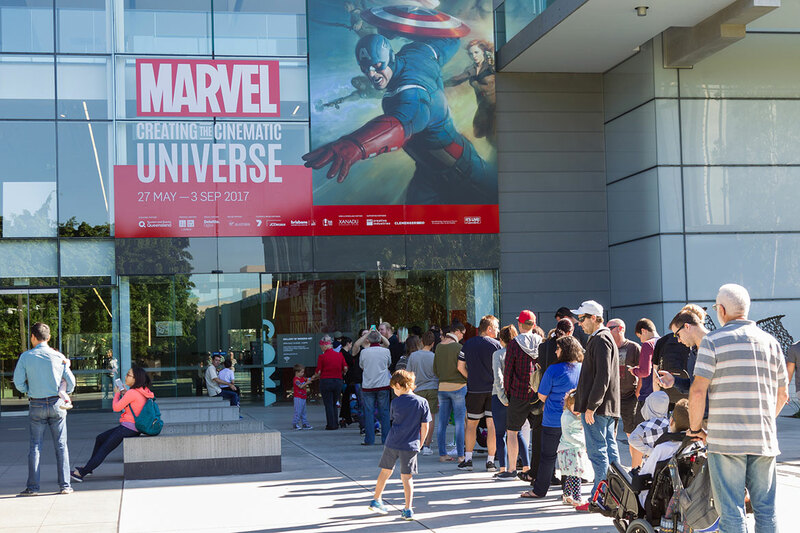 The largest Marvel exhibition ever presented opened at GOMA mid year. Drawing on Marvel’s extensive archive of original comic books, spectacular concept art, props and costumes, as well as private collections, ‘Creating the cinematic Universe’ featured over 500 unique objects and never-before-seen set pieces. This QAGOMA-curated exhibition went behind the scenes to offer a glimpse into the work of production designers, storyboarding and pre-visualisation artists, costume and prop designers, and visual effects artists. The interactive elements throughout the exhibition allowed you to delve even further into the Marvel Cinematic Universe. Gain insights into Marvel’s production design teams who worked on Thor: Ragnarok 2017 and watch the installation of the Asgard Throne at GOMA. GOMA turned ten last December – how sweet! Featuring over 250 contemporary artworks from brand-new immersive works to large-scale visitor favourites, ‘Sugar Spin’ was an explosion of colour, sensation and spinning delights. 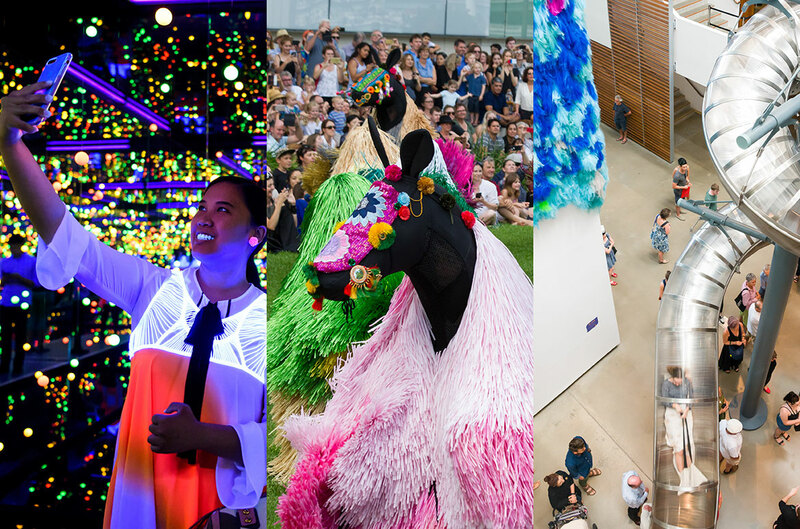 Headlining the year long celebrations were new artworks – Nervescape, a multi-coloured landscape of synthetic hair by Icelandic-born artist Hrafnhildur Arnardóttir a.k.a. 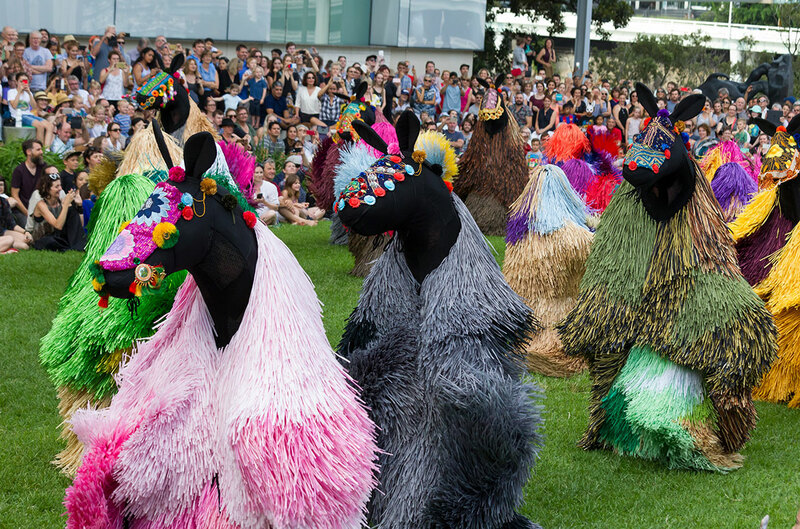 Shoplifter, and American sculptor and performance artist Nick Cave’s electrifying HEARD, a group of vibrant sculptural horses brought to life by dancers. ‘Sugar Spin’ also marked the return of Carsten Höller’s much-loved Left/Right Slide, spiralling visitors from the top floor of GOMA to the bottom; Ron Mueck’s oversized In bed; and Olafur Eliasson’s interactive installation of thousands of white Lego pieces The cubic structural evolution project. Nick Cave’s HEARD 2016 consists of 30 ‘soundsuits’ made to be worn or displayed as sculptures. In performance mode, each horse is brought to life by two dances who develop its behaviour and character. 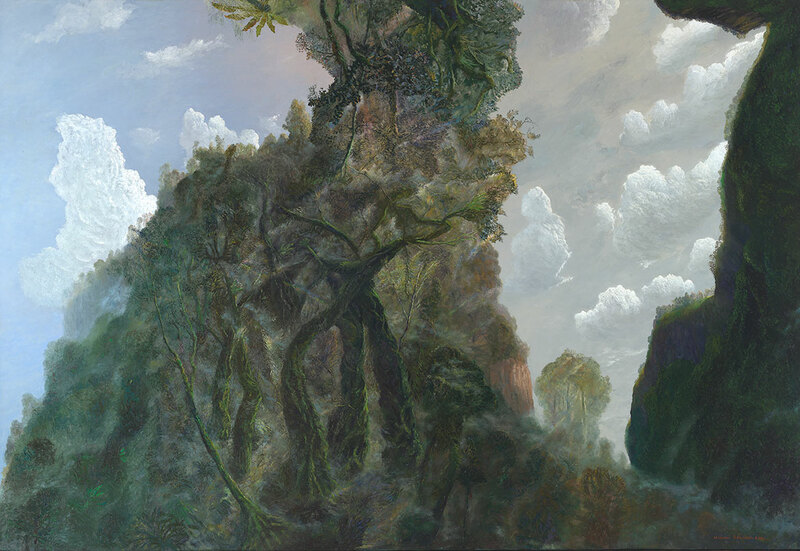 The entrance to QAG’s new presentation of its Australian art collection is overseen by the sublime landscape Rainforest and mist in afternoon light 2002, by esteemed Queensland painter William Robinson. This monumental work depicts the Springbrook landscape, part of Queensland’s Gold Coast Hinterland, where Robinson’s studio was situated at the time. 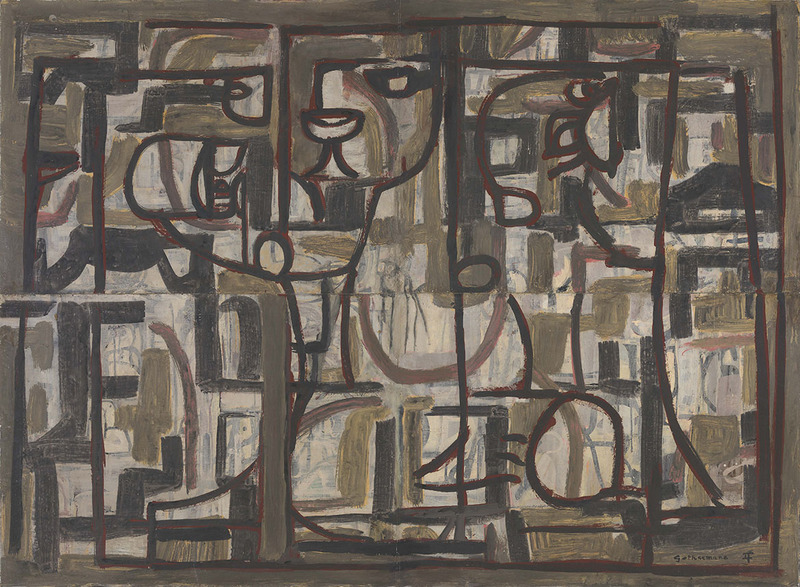 Ian Fairweather’s iconic painting Gethsemane 1958 on display in the Australian art collection at QAG, was gifted by Philip Bacon, AM, Special Patron of the Gallery’s Foundation and member of the QAGOMA Foundation Committee. The work from a very important period in Fairweather’s career, will enable Queensland’s future generations to enjoy the work of one of Australia’s greatest artists who created some of his most celebrated works here in Queensland, on Bribie Island. Judy Watson’s tow row 2016 installed at the entrance to GOMA as part of it’s tenth anniversary celebrations, responds to the Brisbane River by referencing woven nets used by Aboriginal people of the area. The commission visibly acknowledges the contribution of Queensland Indigenous artists and the continuous role played by Indigenous Australians in the cultural life of this country. Watch our documentary as Watson discusses her inspiration for the bronze sculpture.